Immediately intrigued. Love small plates. Love sharing food. A girlfriend mentioned Guu to me a few weeks ago, a buddy had raved about it. Hugely popular in Vancouver. 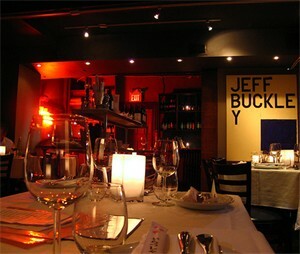 Owners just opened up a new restaurant in Toronto. Then, I read a post by torontolife. And all the comments that followed it. Then, another friend asked. Then, a co-worker. Then, another friend… OK, that was it. I HAD to go. We arrived exceptionally early. 5:30pm early. Well, A was on time. I was running late… as per usual. sigh. Life-long resolution. Atmosphere was warm, loud and boisterous; chefs yelling, waiters answering, voices raised to make themselves heard …this was gonna be great fun. 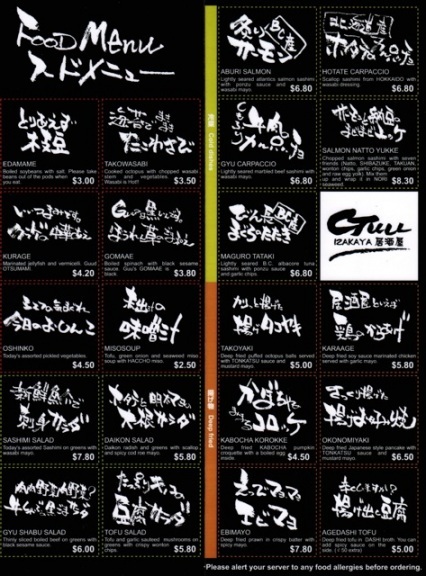 Menu begs you to try something different. So many choices. Where to start? 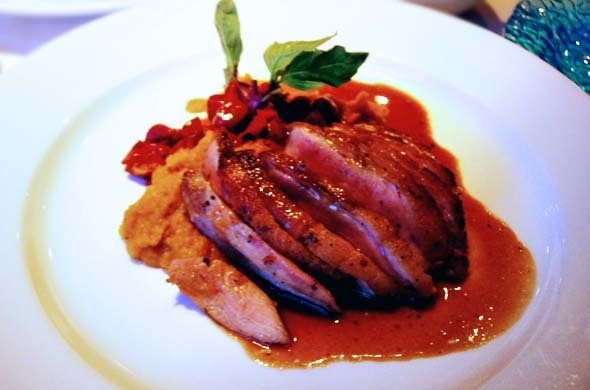 Our strategy: pick one ‘safe’ dish, then pick one dish you’d never think of trying. Ooo, I like this game. Ok, must admit – whenever there’s salmon sashimi on a menu, deal is sealed. Can’t help it. Undeterred by unfamiliar ingredients (natto + shibazuke + takuan) and the raw egg (didn’t bat an eyelash) – this was my ‘safe’ dish…with a twist. Salmon natto yukke, done. Adventurous pick? 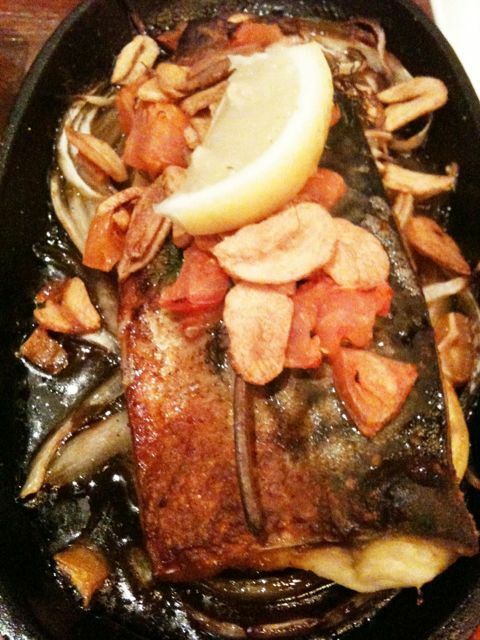 The mackerel. Simply because, I’ve never tried. 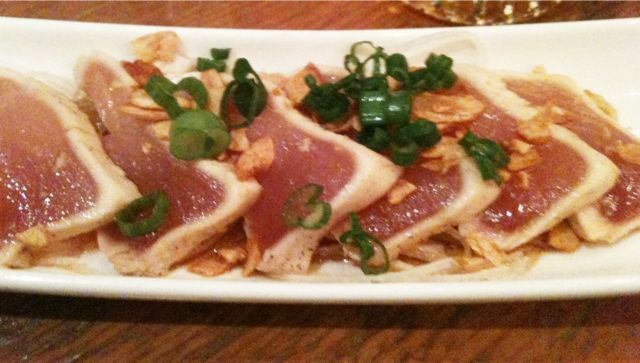 A ordered tuna sashimi (secret fist pump, love tuna) and deep fried calamari. Hungry tummies were waiting. With great anticipation. Would the food live up to the hype? My favourite? The ‘safe’ dish! And uniquely different. Familiar flavours mixed with new flavours (fermented soybeans + pickled egglant/cucumber + daikon radish pickle). Raw egg? Yep, it holds that mixture together. Spoon on to seaweed, roll and enjoy. It’s messy. But, delicious. A’s favourite? Ikapiri. 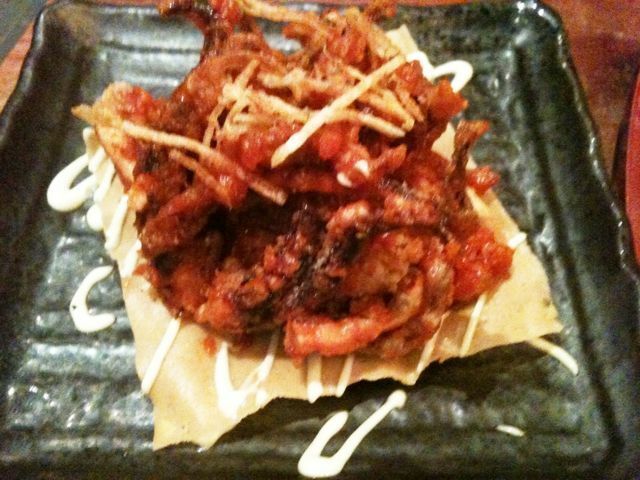 Calamari, spiced up with a kick and dipped in wasabi mayo. How can you not like? Sure enough, by 6:30pm – all seats were filled. We didn’t care. Barely noticed. Too busy saying “ohhh, so good” & eagerly reaching for more. Would reco going with a small group of 3-5. 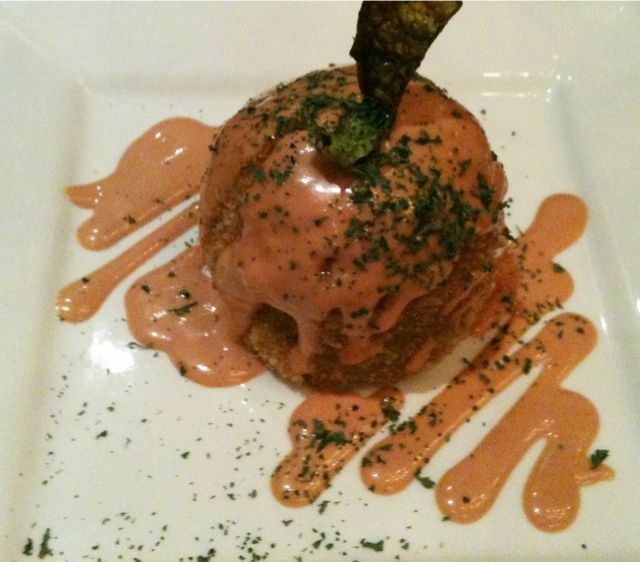 Just so you can sample more, and very affordable with each dish between $5-9. We had 5 dishes between the two of us…and probably could’ve kept going. Gluttony is at an all-time low after the holidays. clearly. high five. Sitting at the long wooden communal bench, shoulders touching with complete strangers, inadvertently over-hearing conversations (“seriously, I could eat this dish every single day, it’s that good”), not-so-discreetly eyeing each other’s plates, openly asking which ones we had tried… ohh, I’ll be back. And bringing a few of you with me. 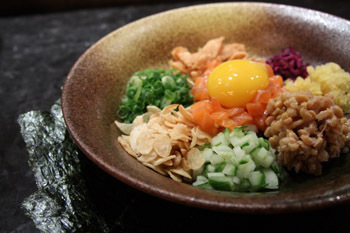 “SALMON NATTO YUKKE” Chopped salmon sashimi with 7 friends (Natto, shibazuke, takuan, wonton chips, garlic chips, green onion and raw egg yolk). Mix them up and wrap it in NORI seaweed. And until the hype dies down, go early. Or you risk waiting. And they don’t take your #, tell you to go across the street & have a drink while you wait. You just wait. 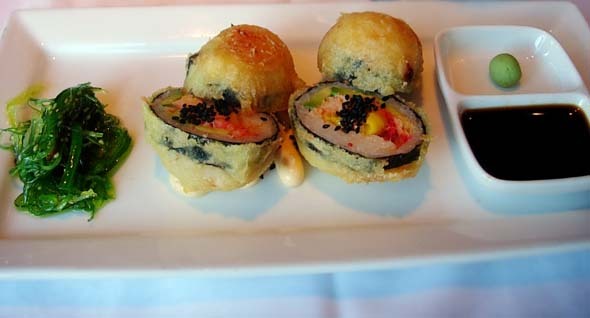 Every Tomi-Kro review will rave about the lobster maki balls. This one, won’t be any different. So unoriginal, I know. Visual caveat: these maki balls don’t do anything for me. Barely excited. And I like to get excited about my…… food. So, we get over the presentation. And focus on the different layers of fantastic. Cut into the crispy battered tempura shell to the lobster meat & avocado (that combination alone); smear on some heat with wasabi and dip into the soy. Redemption. 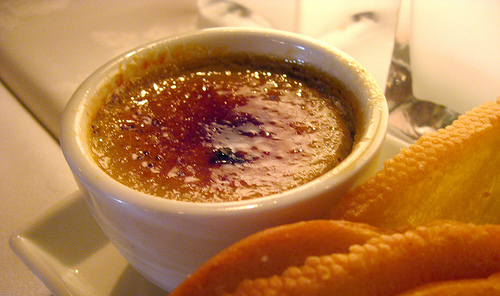 Let’s rewind and focus on the foie gras crème brûlée for a minute, shall we? Foie gras + crème brûlée. It’s exactly what you think it is. Take your spoon and lightly tap… into indescribableness. I know it’s not a word and please don’t hate me for enjoying it so much. And rewind again, to that first step through the door. 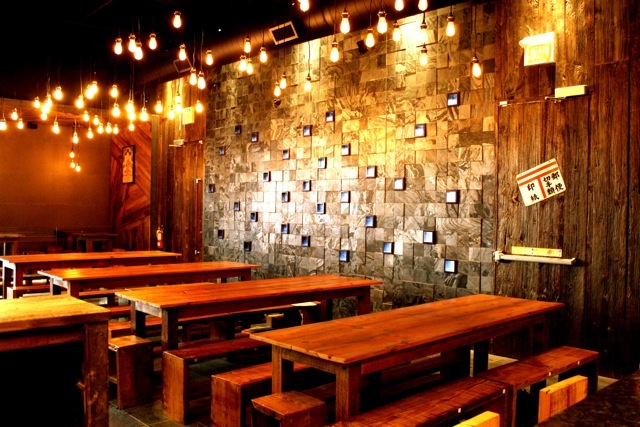 Immediately, you’ll take in the ambiance, artlessly detailed decor, warm tones…eclectic and inviting. One of those great date places. Until I find a better way to organize… here’s the list.